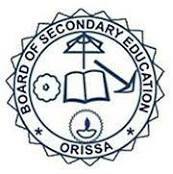 Board of Secondary Education, BSE, Odisha is going to declare the Odisha 10th Results 2018 on 7th May 2018 as notified by the board. If you want to check your Odisha HSC Results 2018 or BSE Odisha Matric Results 2018 then click on any of the below given links. You can also check your Odisha HSC results by SMS. You have to follow the steps mentioned below. If you want to know your Bse odisha 10th Matric Results 2018 by SMS, then you have to follow the below given steps.